It was nice to feel the links turf under my feet again in last week’s Aberdeen Standard Investments Scottish Open at Gullane Golf Club. It was my first time playing that golf course and, as all the reports had indicated, it really is a superb set-up. I definitely liked what I saw, even if I wasn’t able to produce the scores I’d have liked. Still, big thanks to everyone involved in the tournament and to all the fans who gave us such a warm welcome. It’s always a pleasure to play in Scotland; the fans really know their golf and trust me, all of the players appreciate that. It’ll be the same at Carnoustie this week I’m sure. So, after leaving Gullane we stayed at St Andrews and had a game on the Old Course. That never gets old! Seriously, what a place. Preparations are now well underway for the 102nd Major Championship of my career and, without doubt, my favourite tournament of the year. 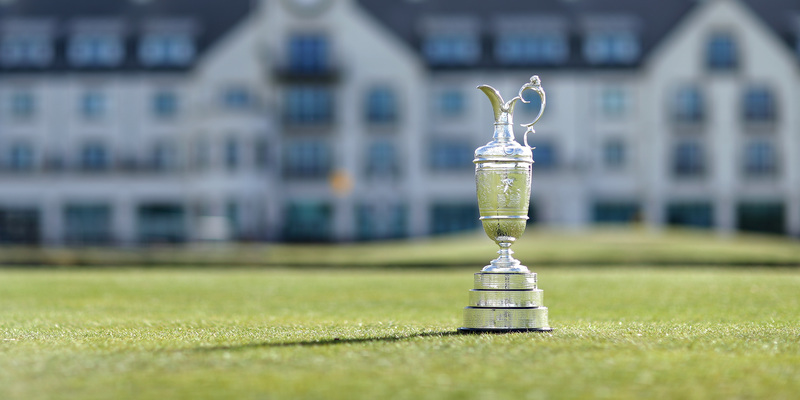 This will be my 28th appearance in The Open and my third at Carnoustie, which has a well-deserved reputation as probably the toughest of all the courses on the Open rotation. I also think it’s one of the fairest, though. There’s only one blind tee shot and everything is pretty much right in front of you. In 1999 it was ridiculously tough; about as tough as we’ve ever seen any golf course…anywhere. No surprise it ended up being the highest scoring Open for 50 years. In 2007 the set-up was better. I actually finished tied-4th on that occasion, but it was hard to be pleased having had a great chance to win that week. I was watching the scoreboards out there on Sunday, so I knew I was only a shot off the lead for a while. And not finishing it off…you know, that was hard. But obviously it’s great to be back here again. Those of us who regularly play in the Alfred Dunhill Links Championship are more familiar with this course in the fairly cold, damp conditions of an English autumn and the course is typically very green. Well, we don’t have that this week. Carnoustie right now tells the story of the prolonged hot, dry weather that the UK has had this summer. It’s playing hard and very fast, like a true links test. The rough is a little bit more wispy than usual, after all the dry weather, so I think there’s the opportunity to be quite aggressive off the tee on certain holes. You have to be a bit cagey, though, with the fairways running so hard and fast. Let’s see how things shape-up in the practice rounds. Anyway, as I said, The Open is always a special week, but even more so this year with my nephew Jovan Rebula in the field having won the Amateur Championship last month. The whole family is obviously so proud of him and we’re all staying in a house together this week in St Andrews, which is good fun! When the gun goes on Thursday I’ll be in the company of Adam Hadwin and Chesson Hadley, teeing off at 9.03am in round one and 2.04pm in round two. I can’t wait. Finally before we sign off, there are a couple of messages of congratulations, first to South Africa’s Brandon Stone on a great win at Gullane last week. So close to shooting 59 in that final round, too. A really stunning effort. Also to Justin Harding who secured his maiden win on the Asian Tour at the Indonesian Open. Very pleased for him. And away from golf, to Kevin Anderson on making it to the final of Wimbledon. The big guy played some incredible tennis to get there, the first South African in the final in most of our lifetimes, and no doubt the whole nation is proud of him. Okay, that’s it for now. Follow me on Twitter @TheBig_Easy.